Croydon racing driver, Dominic Lesniewski made a welcome and promising return to the racetrack having taken a sabbatical in 2007 to complete his university studies. 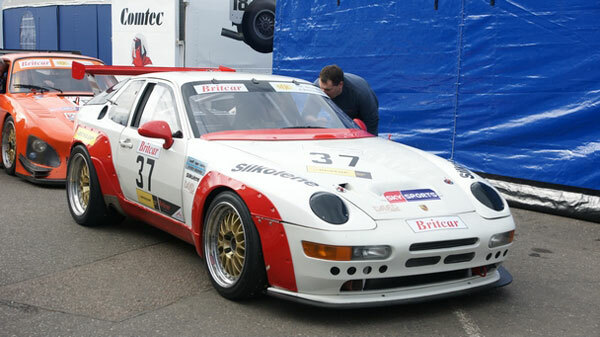 However, it would be wrong to say racing was far from his mind in 2007 as he and his father began a year long task to bring a racing Porsche 968 RS Turbo a car that competed in the Petit LeMans series in 1998, from the USA, their monumental efforts seeing fruition at the weekend when it made its UK race debut. 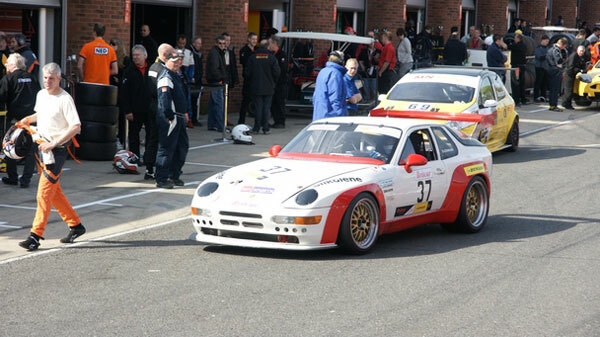 The culmination of over a year's work took everyone by surprise at the Brands Hatch round of the Britcar Championship, which supported the prestigious A1 GP. 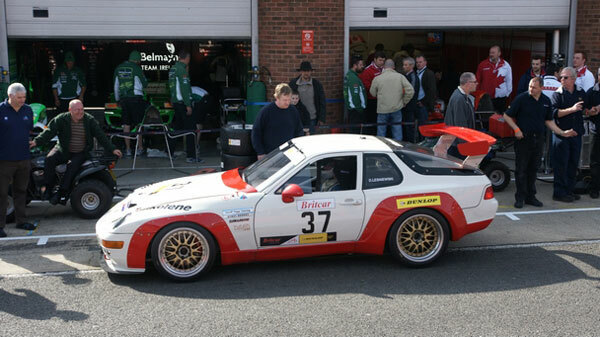 The Porsche 968 RS Turbo , built in 1992 has been to all intent and purposes totally stripped and rebuilt. As Dominic recalls "For a long time now the car has been a shell as we have systematically rebuilt it. It has been a mammoth undertaking but there is something about the car that just sparked the passion in my father and myself. It's just crying out to be raced!" 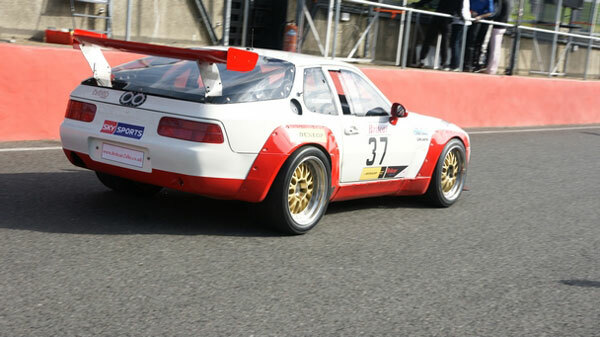 With the aide of Geoff Page of Geoff Page Racing, who brings with him a wealth of experience and knowledge to the project, the car turned its wheel in anger for the first time at Brands Hatch, indeed it was the first time Dominic had ever driven the car. At first it may have seemed disaster was looming when in practice Dominic was over a minute off the pace. However, the amazing deductive skills of Geoff Page quickly picked up a most unusual problem in the fuel cell the car had been fitted with. Too much downpipe had been pushed into the cell and created a u-bend so when the car when went round fast left corners the car was starved of fuel. Quickly rectified it was back out for qualifying and the overall aim to get the car on the grid. The aim was achieved and though 41st and last on the grid the team were overjoyed. But the excitement of making the grid was to be surpassed in a way the team could only have dreamt of. Making crucial adjustments all the time and with Dominic becoming increasingly familiar with the car, the race demonstrated just what potential lies in this beast of a car. Lap after lap Dominic was flying past newer and more established cars in a lightening display. In just over 40 minutes he had overtaken 21 cars! With the end just minutes away, Dominic was up to 19th place but with the car's gearbox breaking an oil seal he made the wise decision to coast back to the pits. 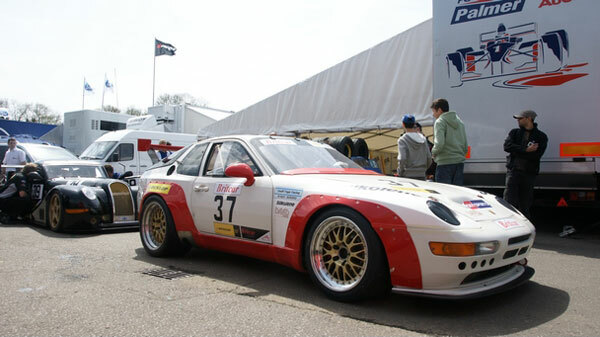 The team come away from the event with a heady mix of confidence and excitement in the project content that an exciting future lies ahead for the Porsche 968 RS Turbo in the Britcar series. Pictures taken at Brands Hatch A1 GP meeting.